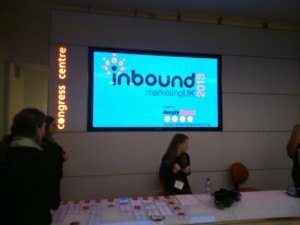 Every year Hubspot organises two big events known as ‘Inbound‘ in Boston, Massachusetts and ‘Inbound Marketing UK‘ with the help of Deeply Digital who are partners of Hubspot, this is held in London, UK. The aim of these conferences were broaden your knowledge of Inbound Marketing through watching various guest speakers’ presentations, then use these to get some inspiration and ideas, and was a great opportunity to find out all the latest thinking, trends, what brings successes, new techniques and practical take-away’s that can be applied to a growing successful business like IDR Solutions and also to talk to other inbound marketers. 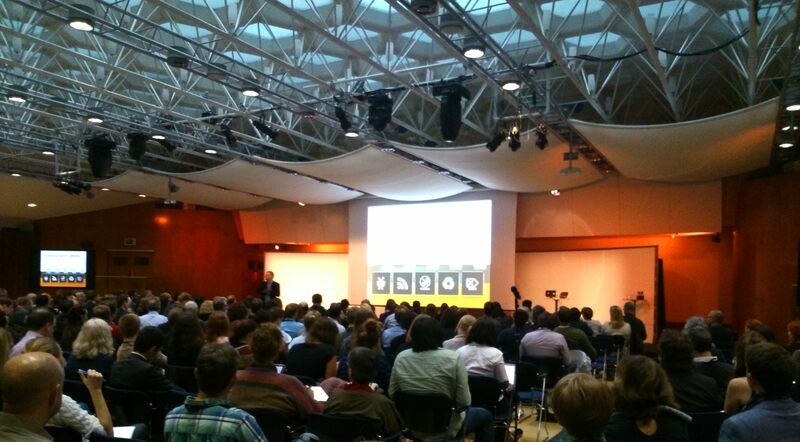 Myself and Leon Atherton attended the Inbound Marketing Conference in London on Monday 14th October which is run by Deeply Digital & Hubspot. There were two speakers Brian Halligan (the CEO) and Kieran Flanagan (Marketing Director – EMEA) from Hubspot who were on hand to do talks with an opening keynote on predicting the future of marketing and the importance of context. Will Critchlow (founder from Distilled) was there to share his views on Marketing and conversion rates, Paul Berney (CMO from the Mobile Marketing Association) discussed mobile marketing strategy , Frank Belzer (author and sales specialist) imparted his knowledge on the changing sales and marketing world, Doug Kessler (Creative & Content Specialist at Velocity Partners) talked about B2B (business to business) marketing and generating creative content, Richard Baxter (CEO at SEOGadget) talked about ways to improve your SEO with Twitter, Shaun McDougall (Marketing Director at the Amor Group) shared his views about B2B Inbound Marketing and International markets, Kenny Whitelaw-Jones (CEO at F1F9) discussed the importance of modelling for B2B and offered some useful tips and tricks and James Cox (Managing Director at Tracepoint) spoke on lead nurturing. Richard Strange from Deeply Digital was the host for the event and was there to discuss buyer personas and Inbound marketing for resellers with Carrie Longton (Co-Founder from Mumsnet) doing the closing key-note, and unlike the USA conference which is spread over 3 days, the UK Inbound conference lasts only one day, it was pretty intense with so much crammed into one day! Being the Head of Marketing at IDR Solutions and Marketing being on of my main passions (aside from gadgets and technology) I thoroughly enjoyed the event with the quality of speakers being awesome with a good mix of speakers from a broad spectrum of backgrounds and companies helping to inspire you with their great knowledge. I also used this opportunity to exchange ideas with other marketeers over tea and biscuits during the breaks. 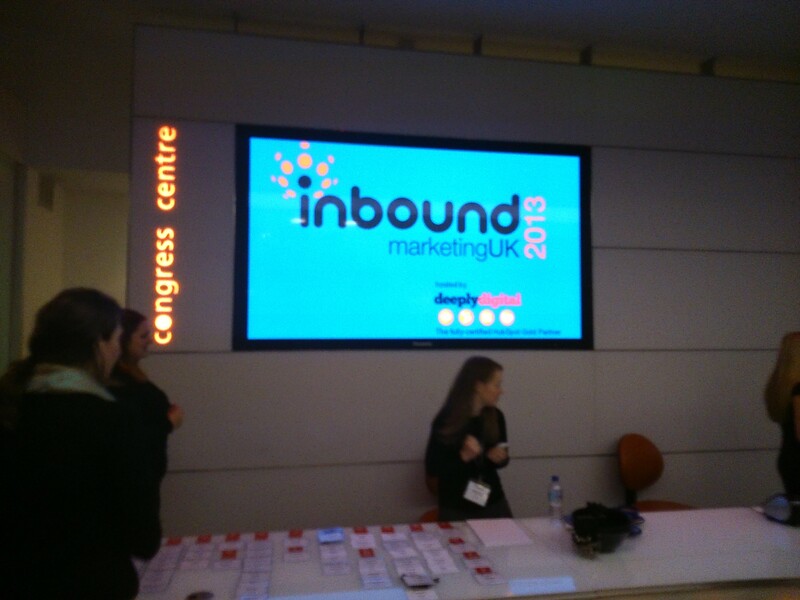 So what are my top 10 takeaways from Inbound Marketing UK 2013? New age ‘Inbound’ Marketing is the future as this involves and engages the customer through social networking, interaction and building a relationship, as it is more about Customer Management Relationship (ie: the customer leading the relationship) not Customer Relationship management (where the business manages the relationship with the customer), although both sound similar there are different strategies involved. Understanding what you customer wants is the key as with the second point if you can learn what their wants and needs are you can adapt. Customer Service is important, maintaining and building the relationship and trusting one another is the future post sales. Create great content to attract customers (like the articles you can find on this website). Sales as a separate entity is becoming irrelevant its all about integrating with marketing so that the complement each other. Culture is important, PDF, HTML5, Java, its all part of a culture. Your product is part of this culture and your employees help to reflect this in your product, a great product is the product of a great workforce. Millennial’s (people between 18-35) are motivated by learning and working whenever and require more engagement than previous generations. Technology is changing the way we market the mobile platform is the future, more and more people are using tablets and smartphones to access the internet, Millennial’s make up the most of this group and are most likely to use mobile platforms to access the internet and to learn about your product. This was my top 10 takeaways from the conference, if you can apply this to your business you know it will benefit you, and if you attended the same conference I did, what did you take away…?